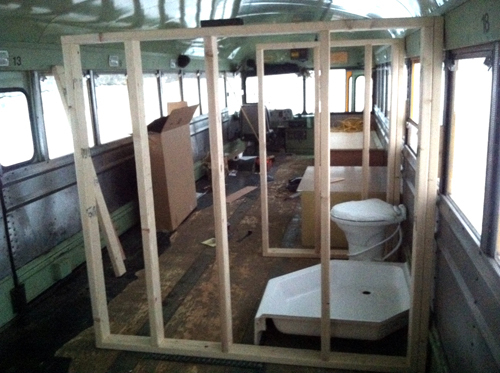 Below are the humble beginnings of the bench seat, print file and the short and long bathroom walls (with our precious utilities in their future places). 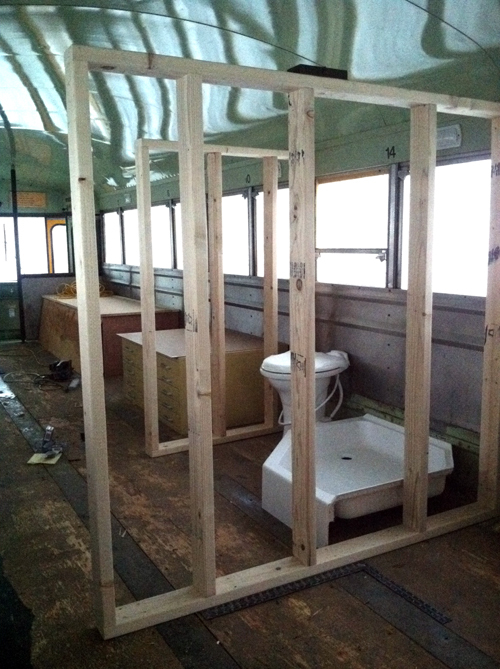 Tomorrow we are hoping to have a frame built above the print file which will provide back rest for those who sit on the print file bench and have tea, support shelves and have a small space for a bathroom sink. It's 11:34 - we have been at least 3-4 hours worth of planning, but EVERY STICK is now drawn out in detail and we have reached total agreement. Ryan is a son of an engineer and I have no idea about construction, but I can get a design together conceptually and then after going over every detail we can totally get something together. Watch for detailed pictures tomorrow.